Discipline is based on co-operation and mutual respect among all sections of our school community. Rules governing behaviour are deliberately kept to a minimum, but they are clearly defined and understood. The school aims to maintain a good balance between freedom and restraint. To this end we provide the secure framework of a clearly delineated and well-defined Code of Behaviour. 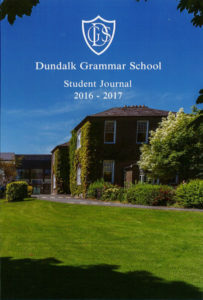 The code is published in the school plan and is also printed in the school journal, a copy of which is provided to all students on an annual basis. Circulating, publishing or distributing (including on the internet) material associated with school activities including but not limited to material in relation to staff and students where such circulation undermines, humiliates or causes damage to another person is considered a serious breach of school discipline and may result in disciplinary action. As part of such disciplinary action the school reserves the right to suspend or expel a student or students where it considers the actions to warrant such sanctions (May 2013).